Wendell Eike, age 87, passed away peacefully at home, surrounded by family on Tuesday, November 6, 2018. Wendell Berven Eike, was born on November 9, 1930 on the family farm outside of Radcliffe, Iowa. He was the youngest of five children, born to Elmer and Gyda (Berven) Eike. Wendell was baptized and confirmed at Salem Lutheran Church in Radcliffe. Wendell attended Salem Country School in Radcliffe and had the unique pleasure of having his sister Kathryn as his teacher. He later attended Radcliffe High School and graduated in 1948. While in High School, Wendell was known for his athletic abilities in baseball and basketball. One of the highlights Wendell recalled was playing in the State Baseball Tournament in 1948. Wendell attended Ellsworth College and Upper Iowa University. He obtained his Bachelor’s Degree from Upper Iowa University in 1955. Wendell enlisted in the United States Army and served from 1952-1954, during that time he spent one year in Korea. Upon discharge, he served six years in the Army Reserves. Wendell began his teaching and coaching career in Pleasantville, Iowa in 1955. It was there he met Doris Dillon. Wendell and Doris were united in marriage on June 23, 1957, in Odessa, Missouri. In 1957, Wendell and Doris moved to Reinbeck, Iowa, where they started their family. In 1964, Wendell purchased the Radcliffe Dairy and moved his family to Radcliffe, Iowa. For the next 30 years, Wendell delivered milk to the surrounding grocery stores, schools and homes. Wendell quickly gained a reputation as, “the milkman that delivered the best chocolate milk.” Wendell was a devoted father and grandfather and was always seen in the stands at virtually every sporting event of his daughters and grandkids. Wendell was devoted to not only his family, but the town of Radcliffe. He was involved with numerous organizations: Radcliffe Kiwanis Club, Radcliffe City Council, a Radcliffe Volunteer Fireman and the Radcliffe Friendly Fairways Board. Wendell was also part of the exploratory committee in 1968 that conceived and launched the Radcliffe Friendly Fairways. Wendell is survived by his wife Doris; daughters Shelly (Bill) Cox of Ft. Worth, TX, Wendy (Marty) Frangenberg of Dike, IA; grandchildren Zach (Lauren) Frangenberg of Virginia Beach, VA, and Megan Frangenberg of Ankeny, IA. Wendell was preceded in death by his parents and siblings; Everette, Marie, Kathryn and Bernice. In lieu of flowers, a memorial fund has been established at the Radcliffe Security State Bank for the beautification of the Radcliffe Friendly Fairways. Checks may be made out to the Wendell Eike Memorial. To send flowers or a remembrance gift to the family of Wendell Eike, please visit our Tribute Store. with a short program at 2:00 pm. 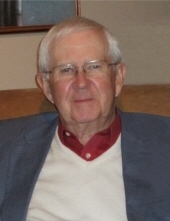 "Email Address" would like to share the life celebration of Wendell Eike. Click on the "link" to go to share a favorite memory or leave a condolence message for the family.